2 Cavalry Pegasus 2,- Foil! 7 Decorated Griffin 4,- Foil! 9 Elspeth, Sun's Champion 88,- Ikke på lager! 10 Ephara's Warden 2,- Foil! 14 Gift of Immortality 13,- Ikke på lager! 18 Heliod, God of the Sun 42,- Ikke på lager! 20 Hundred-Handed One 9,- Foil! 21 Lagonna-Band Elder 2,- Foil! 22 Last Breath 2,- Foil! 23 Leonin Snarecaster 2,- Foil! 26 Phalanx Leader 4,- Foil! 27 Ray of Dissolution 2,- Foil! 30 Setessan Griffin 2,- Foil! 33 Spear of Heliod 11,- Ikke på lager! 35 Vanquish the Foul 3,- Foil! 41 Benthic Giant 2,- Foil! 48 Fate Foretold 2,- Foil! 53 Master of Waves 29,- Ikke på lager! 58 Ordeal of Thassa 3,- Foil! 61 Sea God's Revenge 4,- Foil! 62 Sealock Monster 3,- Foil! 63 Shipbreaker Kraken 9,- Foil! 64 Stymied Hopes 2,- Foil! 65 Swan Song 16,- Ikke på lager! 66 Thassa's Bounty 2,- Foil! 68 Thassa, God of the Sea 61,- Ikke på lager! 69 Triton Fortune Hunter 3,- Foil! 74 Wavecrash Triton 2,- Foil! 75 Abhorrent Overlord 9,- Ikke på lager! 78 Baleful Eidolon 2,- Foil! 79 Blood-Toll Harpy 2,- Foil! 82 Cutthroat Maneuver 3,- Foil! 86 Erebos, God of the Dead 61,- Ikke på lager! 87 Felhide Minotaur 2,- Foil! 90 Hero's Downfall 23,- Ikke på lager! 91 Hythonia the Cruel 18,- Foil! 92 Insatiable Harpy 3,- Foil! 98 Nighthowler 9,- Ikke på lager! 99 Ordeal of Erebos 3,- Foil! 100 Pharika's Cure 2,- Foil! 109 Viper's Kiss 2,- Foil! 111 Akroan Crusader 2,- Foil! 112 Anger of the Gods 23,- Ikke på lager! 114 Borderland Minotaur 2,- Foil! 116 Coordinated Assault 4,- Foil! 119 Dragon Mantle 2,- Foil! 123 Flamespeaker Adept 3,- Foil! 124 Hammer of Purphoros 10,- Ikke på lager! 125 Ill-Tempered Cyclops 2,- Foil! 126 Labyrinth Champion 9,- Foil! 131 Ordeal of Purphoros 3,- Foil! 132 Peak Eruption 3,- Foil! 134 Priest of Iroas 2,- Foil! 136 Purphoros, God of the Forge 107,- Ikke på lager! 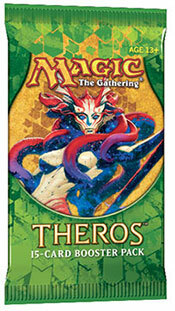 137 Rage of Purphoros 2,- Foil! 140 Spark Jolt 2,- Foil! 141 Spearpoint Oread 2,- Foil! 142 Stoneshock Giant 3,- Foil! 143 Stormbreath Dragon 37,- Ikke på lager! 144 Titan of Eternal Fire 9,- Foil! 146 Two-Headed Cerberus 2,- Foil! 149 Anthousa, Setessan Hero 9,- Foil! 151 Artisan's Sorrow 3,- Foil! 152 Boon Satyr 9,- Foil! 154 Centaur Battlemaster 4,- Foil! 157 Fade into Antiquity 2,- Foil! 160 Karametra's Acolyte 4,- Foil! 168 Nylea's Presence 2,- Foil! 169 Nylea, God of the Hunt 38,- Ikke på lager! 170 Ordeal of Nylea 3,- Foil! 174 Satyr Hedonist 2,- Foil! 175 Satyr Piper 3,- Foil! 176 Savage Surge 2,- Foil! 178 Shredding Winds 2,- Foil! 181 Time to Feed 2,- Foil! 188 Ashiok, Nightmare Weaver 52,- Ikke på lager! 189 Battlewise Hoplite 4,- Foil! 190 Chronicler of Heroes 3,- Foil! 198 Polis Crusher 9,- Foil! 200 Psychic Intrusion 9,- Foil! 205 Steam Augury 9,- Foil! 209 Xenagos, the Reveler 42,- Ikke på lager! 210 Akroan Horse 9,- Foil! 211 Anvilwrought Raptor 3,- Foil! 212 Bronze Sable 2,- Foil! 213 Burnished Hart 4,- Ikke på lager! 214 Colossus of Akros 9,- Ikke på lager! 216 Fleetfeather Sandals 2,- Foil! 221 Traveler's Amulet 2,- Foil! 223 Nykthos, Shrine to Nyx 71,- Ikke på lager! 227 Temple of Silence 20,- Ikke på lager! 228 Temple of Triumph 14,- Ikke på lager!